Based on the US show of the same name, This Is Your Life has been honouring famous Kiwis since 1984. This 1988 edition hosted by Bob Parker features Colin “Pinetree” Meads, whose All Black career spanned 15 years, 133 games and 55 test matches. 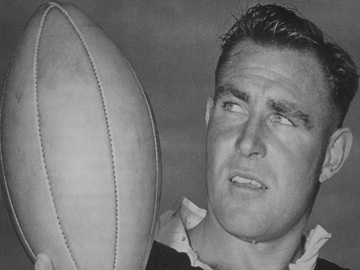 New Zealand’s “Rugby Player of the Century,” remains modest throughout his tribute at the Avalon TV Centre, where guests include fellow All Black legends Brian Lochore, Kel Tremain and Wilson Whineray; and Irish referee Kevin Kelleher, who controversially ordered Meads off the field in Scotland in 1967.